The main holiday is almost nearing of this year! 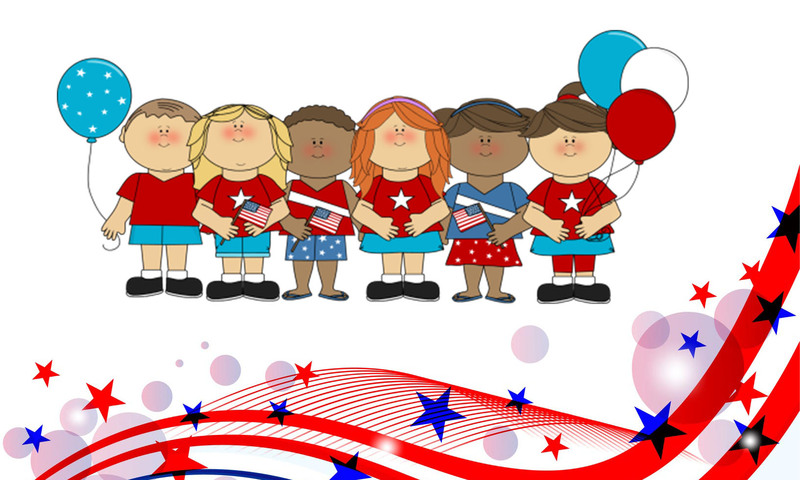 Parents, are you confused with what activities to provide for your little ones and how to educate them about the importance of the patriotic day? 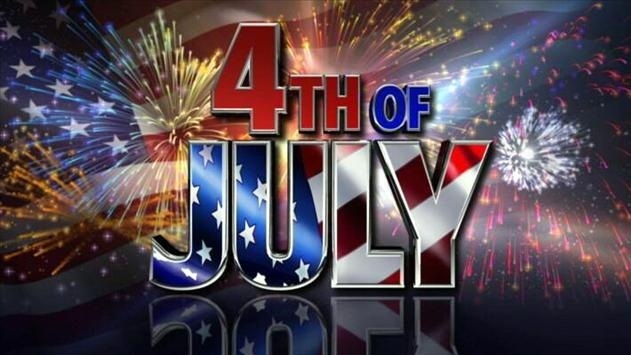 Yes, since it is a patriotic holiday, it must be a patriotic celebration associated with the activities to make them learn easier about the American citizens and the importance of Independence Day. How to face and fly the national flag? How to stand and say the pledge of allegiance? The importance of each word and phrases and what they really mean? How important is it to do on a routine basis? By teaching and educating them through some fun activities, your children will understand easily about the importance and custom of their country. Understanding and learning about the patriotism at the early childhood development bring out a perfect citizen of any country. For certain years, through the great videos and movies, children are educated well enough to make them understand the things better. Teach them about the founders of America, Country’s history and how the government works. These are some of the perfect start-ups to educate your children with American history. It’s more pivotal for the little ones to know about the specialized tricolor in the flag. Combine the patriotism with the usual backyard barbecue and prepare a special dish together with your young ones. The dish specifying the colors (White, Red, and Blue) as a remembrance for this Independence Day. Firework Cookies – Topped with white frosting, blue sugar, and strawberry pop rocks. 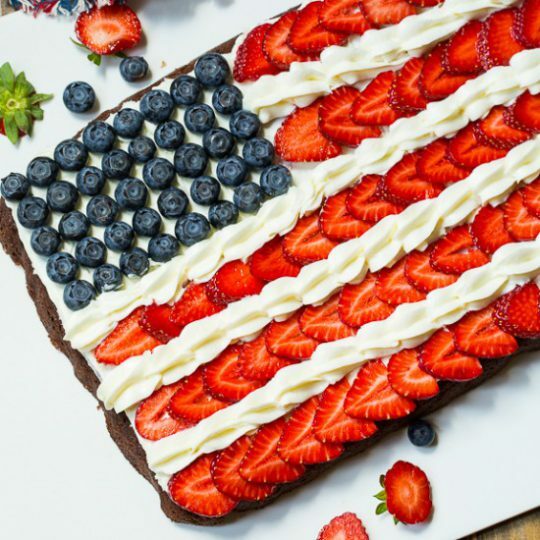 Prepare these delicious desserts and kids will definitely love these desserts and moreover, they will educate themselves with the tradition of the American flag’s tricolor. When the war ended up earlier, July 4th has become a national holiday as a sign off celebrating an independence day. Citizens of America were celebrating this day with speech, parade, and fireworks but now it has been modern and still stands the best in the celebration. Educate your young ones in such a way, when the declaration is read in the public; Bells are rung, Guns are fired, Candles are lighted and Firecrackers set off, the young ones must erupt in cheers and celebrations. Educate your kids during the earlier stage about the patriotic celebrations with the fun activities, cookeries, videos, and movies. These methods of educating will gain interest in them by grasping and learning quicker. Also, motivate them to be proud citizens of America. Childhood education develops them to become more enthusiastic! Isn’t? Mother’s day is nearing, here is a chance for you to make this event a special moment for your moms. What does mom expect? What gift does she love? What will make her feel unique on this mother’s day? Yes, I know these are the queries running over every little one to bring the mother’s day a special Sunday. Moms are the special gifts where they don’t expect anything rather than your love and affection. She needs a bit of peace and relaxation. That’s the only thing she expects throughout her life. To keep her happy on her day, Track Chores would like to share few homemade crafts to gift her on this special day. Until now, mom would have assigned the chores and wanted you to get completed. Just for modification, now Track Chores is suggesting you with some tricky and mind squeezing ideas for preparing homemade crafts to present to your lovable moms, where she wouldn’t have expected or guess on the forthcoming special day. Come on let’s start the game……………. As we know moms are always held up by assigning small and minute chores, she does this all because to boost up your responsibility. Now let’s share our own household works with the non-assigning tasks. Can you guess how your moms will feel happy by this? Yes, sometimes she is wanting for relaxation at housework. Provide your best in doing the housework what your mom is lacking for. Moms would prefer and love handmade creative gifts from their kids rather than buying the gifts from the retailer. Celebrate this mother’s day unique by your creativity from the heart. Track Chores would suggest five awesome handmade crafts that every mom loves. This is a sweet and unforgettable gift that every mom feels happy and surprise. Take a footprint of the baby designed and sketched like the butterfly. Definitely, mommies would frame this auspicious gift on your home wall. Tissues are the light-weight and easy to tear, crafting with such kind of thing is the most ultimate gift. Moreover, it is easy to craft the tissue papers like a sunflower and bouquets. Try yours now. Moms are the queens of our home. Why not prepare a beautiful homemade crown to present her with the wordings saying “I love you mom”. This will be an ultimate gift to express your entire love. Make the Mother’s day perfect and special palm print cards with simple accessories like scissors, glue, card and sketches. Print your palm card with the lovable wordings from the heart. Gift moms with the free printable coupons which they will actually use them and have fun. These coupon adventures give them the different pleasure trip that will glow as their lifetime special moment. Can you believe the Easter and summer holidays are almost nearing? Kids, It’s time to contribute yourselves to clean, organize and decorate your house before your family members arrive for the festive events. As well prepare delicious sweets, Easter eggs and much more exciting to surprise your family. Moreover collect your Easter rewards from your family members, friends, and relatives for organizing and preparing for the special event. As you know parents would always be behind you for allocating the chores, let this festive season brings the special moment to prove yourself as a best, responsible and disciplined kid. “Track Chores” would like to suggest and provide you with few Easter ideas to surprise your dear and loved members. Let’s begin the Easter festival with the homemade recipes. Homemade recipes are more delicious when prepared by our little kiddies. Parents, relatives, and friends would enjoy the candies prepared and contributed by you. So dedicate your preparation to your family members and get special rewards on Easter Sunday. Fill your Easter basket with the candies, sweets, chocolates, cakes, marshmallow treats, decorated Easter eggs, lemon fudge and burst out with surprises. However, Easter eggs and homemade candies are delightful for the Easter, to make even better you can bake the Baked ham, potatoes, hot cross buns, vegetables, and cookies. Conduct these surprise games and events and make the occasion enjoyable and unforgettable moment. As well collect your Easter rewards as an acknowledgment. In order to make the Easter Sunday enjoyable and surprising with homemade recipes and events, the ultimate goal is the cleanliness environment on a festive day. As you might have known the proverb, “Cleanliness is next to Godliness”. Before even preparing and organizing for the Easter Sunday, make sure that you have arranged and cleaned your home. So far, you would have done the allocated chores by your parents, let this be a unique one. Use your own tricks to clean, dust and organize your home. They would be surprised looking at your dedicated tasks and they would offer you with the surprise Easter rewards. Bedtime gorgeous suitcase – ease to carry and decorate your bedtime wherever you go. Trip to Lantern Club – A perfect place for the weekend. 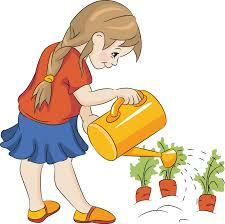 Gardening is the best chore that kids tend to do without assigning any chores. However, the children doing the routine tasks often, are quick to announce “I am bored….. or I am tired”. So to make the gardening events better, here are the few guidelines for the kids to get involved through garden games. It’s quite true that kids are fond off games too. When combined with gardening and games it creates a golden memory for their future. Digging is the source for gardening. Hide some treasure! treasure might be a coin or a stationery or any item that interests your children. Then start with gardening by cultivating the seeds through digging. Once crops are settled down, meanwhile conduct another game with fun. Make them to hunt for the worms under and behind the grasses and leaves. This activity makes them walk quietly and slowly around the garden to observe and come up with new ideas. Plants need food to grow. Teach the kids to fertilizer the plants. Teach them how to give the right amount of food. In between you can conduct a game, giving each child a container and notice who feeds the plants with an equal amount of fertilizer so that all the plants are fed equally. Children who manage to feed plants equally can be rewarded with small surprise gifts thereby we make them learn what amount of fertilizers can be used and how often should the plants be fed. Kids enjoy watering the plants! We can now assign this as a chore to our kids and watch them enjoying their chores while we can make them understand that the plants do not get washed away with the force of water and if we find any insects like the spider, we can remind them of their nursery rhyme “Itsy Bitsy Spider”. Children would enjoy watering the plants with the chorus of rhymes. Once they end up with their plant cultivation, managing the plants with nature makes them surprised when they watch seeds growing into plants. The similar process they will follow while cultivating each seed. They can again start their game with setting up a tent using a cloth or blanket or anything. Children would have a great picnic feel with the family by collecting sticks for the campfire. Once the children are introduced to the gardening and games, they will often play over, again and again, to keep them happy and busy through gardening. If you have any other gaming ideas for the children, please share them in the comments. How do you assign chores to kids of different age groups? Kids are the pampered ones for every parent! This is obviously true but you will miss out your kids’ responsibilities when not assigned any chores. So chores are the main objective for the children in developing their learning skill sets, behavior, sharing the needs, family involvement, etc. Besides all these, how much of them can think, getting things done by their kids realistically? The answer might be quite a few. 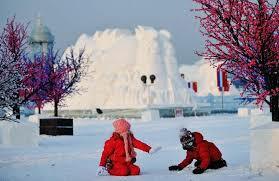 However, for the first time, you will have to tackle your child for the new task, regardless of age. Your child might be capable of doing chores quicker or later, it depends on their maturity, good motor skills or their level of concentration. Whatever capacity they are up to doesn’t matters, getting chores done frequently develops their personal and family responsibilities. You may question yourself, “what chores can my children learn and what chores they would be capable of doing at the present age”? Beginners need some sort of pointers for even the simplest tasks. Here are the listed examples of kids chores recommended by Track Chores. Responsible for the chores aged between 3 to 6 and apart from that, the following chores can be assigned too. Children of these age groups are more capable of doing the chores aged between 7 to 10. Getting the chores done gives them a sense of responsibility and achievement! Assign these chores for your children and share your new experience with the Track Chores. PLENTY OF SEASONING CHORES FOR OUR BLABBERMOUTHS! Want to keep your young ones busy? Here is an easy way to allocate chores, track the chores’ completion, reward them. Your kids learn about the life’s important part “RESPONSIBILITIES”. Everywhere we see moms & dads keep beckoning their young ones to do this and that and so on – only to realize at the end that the chores are not done at all or done incompletely. We can see only the inputs instead of the output. Arguments, the battle of words and the ensuing stress – disrupts your piece at the end. Here are some of the dos and don’s to get yourself rescued from this situation. Assign the chores in such a way that the chores inspire your kids. Motivate them by giving more rewards. Here come Track Chores which helps you discover exclusively fun and entertaining chores for your kids. Through TrackChores you can easily find out your kids’ hobby (by identifying their interested chore). during this moment I would like to share an experience: One of the Track Chores parents assigned a chore “drawing illustration”, which made her kid to doodle and fiddle (to draw casually). Until that point of time, the parent did not know her kid was an artist! Besides getting the mundane tasks that kids need to learn done, Track Chores’ way of approach to assigning the chores brings out your kids creative talent! Apart from homework, household activities, chores can also be assigned to ensure the kids take their regular food without fail. They get rewarded for completing the chore, you become happy that your kid took food! You can encourage them to eat healthy foods by assigning the chores for those categories and double their rewards. Track Chores mobile apps are available for both Android and iOS.